If you're willing to explore Indian made pens, you could possibly look at pens from Fountain Pen Revolution: the Himalaya, the Jaipur and the complementary free pen they send with every order. I've successfully used #5 nibs from Bock and Kaweco in these pens and they fit very nicely. 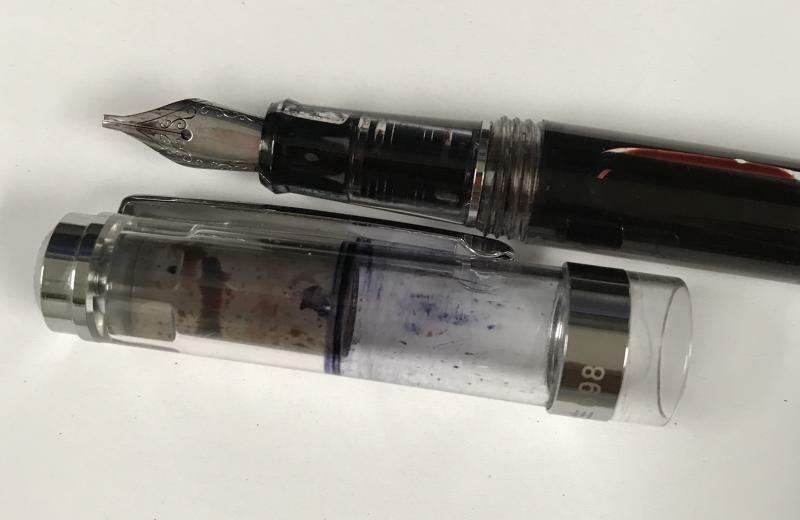 I do have some Franklin Christoph #5 JoWo nibs which I can swap into a Jaipur to check if it fits but I'm willing to bet it will fit just fine. Update: The JoWo #5 FC nib fits just fine in an FPR Jaipur. Edited by pepsiplease69, 29 May 2017 - 04:05. Thanks for bringing up Indian pens and the Jaipur specifically. I guess there are several pens for sale through AsaPens that take JoWo #5 nibs as well. Thanks, I've got an OB sitting in the shopping cart now. Can anyone recommend some more Indian ebonite pens that take a JoWo #5? I know that the Asa Daily does, but it looks funny on such a big pen. It seems like more take #6 than #5.
why do you specifically want the #5? I find the #6 a more versatile base for modification. I like #6 nibs and have several, but I'm not aware of any slender or smaller pens they would fit in. The reason for wanting to know some pens that take #5 nibs is so I can put custom nibs in small pens. With my hands, writing with something chunky like a Jinhao X750 or even Nemosine Singularity can get tiring in long writing sessions. Just an update for anyone who's wondering....I cannot get my JoWo #5 nib from fpnibs.com to fit in either the Jinhao 991 or 992. Either the curvature at the back or the thickness of the metal doesn't allow for the nib to slide as far back on the feed as necessary to write well. The same nib also won't fit in the Jinhao 165 but for other reasons: it fits the feed and section fine, but the nib is too wide for the cap so you can't properly cap the pen. 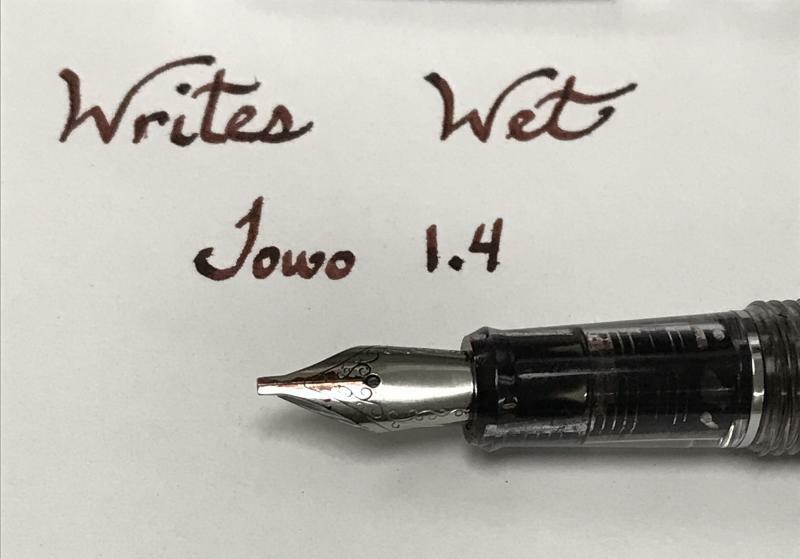 This JoWo #5 does, however, fit perfectly in the Noodler's Ink Charlie and Nib Creaper. With regard to Indian pens, are there any other than the Asa Daily that are designed to take a JoWo #5 nib? I need an affordable pen to put this lovely nib in! For me the nib creaper does fit but when you put the cap on, the shoulders of the nib are too broad for the cap to accommodate. Do you see any resistance/scraping when you cap/uncap the pen. My JoWo #5 fits perfectly in both Charlie and Nib Creaper and no problems with the cap. You might have to push the nib and feed down a little more into the section to make it work. Thanks for letting us know! That's a great pen and even better that it can take other nibs. Hopefully we find more cheap(er) pens that fits #5 nibs. I have a Triveni Jr. & a Himalayan and I recommend them. I put Nooddler's creaper nibs in both. Pen length is only around 5" so if you're into baseball bats, they may not be for you. Edited by Bordeaux146, 10 August 2017 - 22:30. Yeah, I was hoping with this thread to make a list like that one but for #5 nibs. This is great news, seeing as I just took advantage of FPR's sale last weekend and ordered an ebonite Himalaya and a Guru. Looking forward to putting JoWo #5s in both of those, as well as the free Muft pen that will be included with the shipment. Regarding the Muft pen, the ones I received all had the nib and feed jammed in pretty tight into the section. Best to use a knockout block to get them out safely. I tried removal with my bare hands and I snapped the feed into two pieces on one of them. Had to use super glue to repair it. Very good to know, thanks for the tip! Check the spreadsheet in the thread. There is a sheet for #5 nibs. Not really any new info in there but probably a good idea to try and consolidate information.